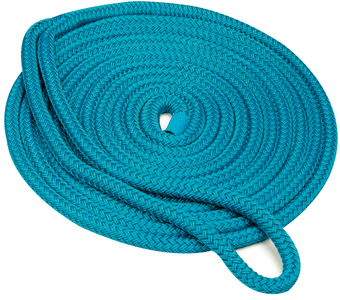 Premium double braid dock lines complete with 15" eye splice (3/4" rope: 18" eye splice). Pre-shrunk and hear stabilized. These lines offer higher wet strength and better abrasion resistance than other nylons. Won't mold or mildew. Individually clamshell packed.